Hey folks, ScottP here — this Friday, May 13 starting around noon, Bob Vardeman and I will be manning a table outside Kurly Tlapoyawa’s Burning Paradise Video doing our part for the Friday the 13th Bricklight Block Party. Word has it there’ll be music, specials, and who knows what, so come on by, say hey, and buy some books! 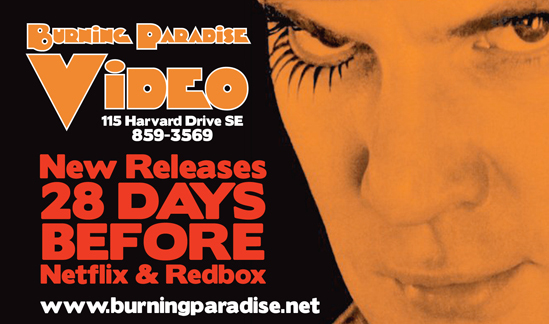 Burning Paradise Video is at 115 Harvard SE in Albuquerque.